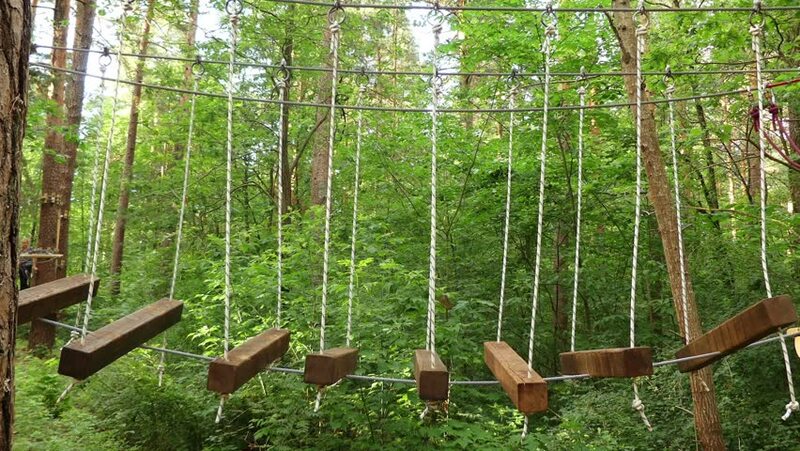 hd00:11Recreational-oriented adventure park is place which can contain wide variety of elements, such as rope climbing exercises, obstacle courses and zip-lines. They are usually intended for recreation. hd00:21Model released man in rain gear walking on hiking trail in the Pacific Northwest forest on rainy day.